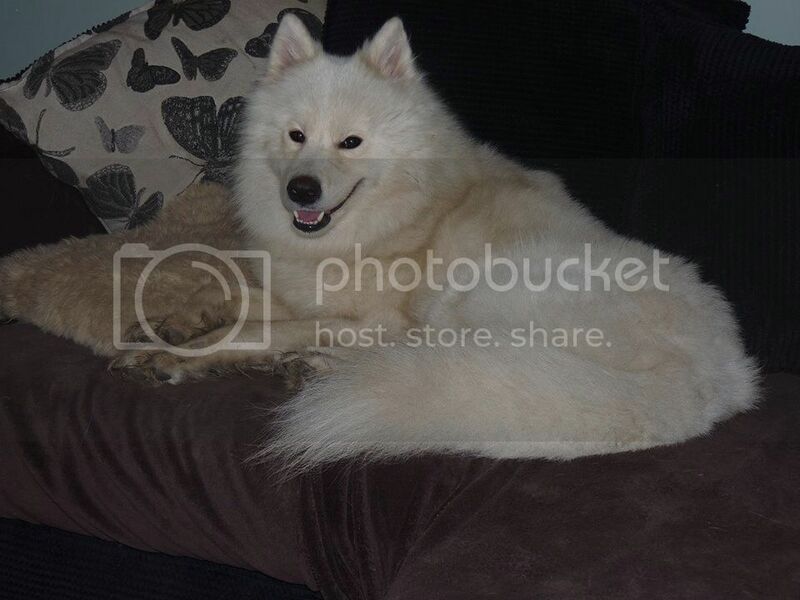 Please meet Bailey who is a 2 year old Samoyed. He has a very sweet and friendly nature who can also be quite playful. Bailey is dog friendly and house trained and knows his basic commands. He is currently learning to walk without pulling on the lead and does walk to heel on a halti, at present he does not have a very good recall so this training will need to be continued in his new home. As a larger size dog, a home with older children would be best with prospective owners ideally having knowledge/experience of large/herding dogs. He will need to go to home where there is another similar size female doggie friend for him to be able to play with. Please note as a Samoyed, Bailey does moult quite badly and regular grooming is essential (both home and professional). Bailey is neutered, microchipped, worm & flea treated and vaccinated.